You will first need to please download and import the Alembic extension package from the downloads page, or by this link directly. Alembic is a exchange file format for computer graphics used in animation and vfx industry, which has been widely adopted in the late years. Alembic files (.abc) can be exported from almost all animation software like Softimage, Maya, Max, Cinema4D and so on. This format includes “baked” information about polygons, animation, particles, camera, transformations and so on. With the Alembic Wofkflow in Slate, it’s possible to create alembic synced cutscenes and playback that animation in Unity, of course with realtime scrubbing as usual. The purpose of this workflow, is that you can create your cutscenes in your favorite animation software, and then import the exported alembic file into Unity and finally use Slate to build on top of it and add the final touches, camera shots, extra animations and so on. 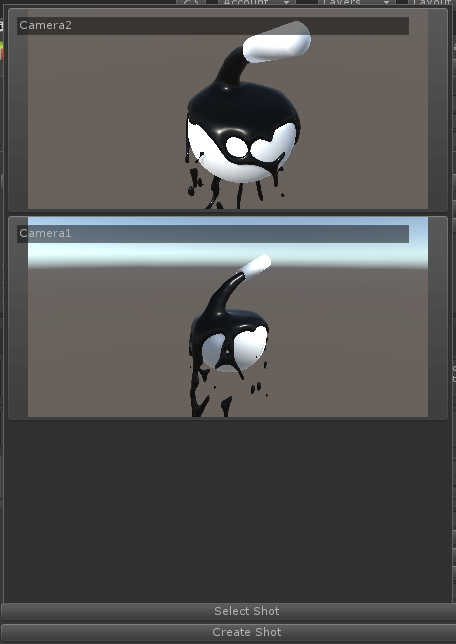 Making changes to the original file and re-exporting, will also correctly update the animation in Unity. Please note though, that depending on the animation complexity, alembic files can potentially become very large and as such this workflow may not be a good fit for games, but is here, because Unity is not only used for games. This workflow is meant to be used for high-end cinematics in Unity. Each Alembic Track is able to sample one imported Alembic file. Through the inspector of the track and with the relevant button, it’s easy to select and import an alembic file into unity and automatically assign it to the track. If of course you already have an imported alembic file, you can simply drag and drop it to assign the reference. Imported alembic files are added in the scene and parented under the Cutscene object hierarchy. Underneath that root, all exported alembic file objects, can be found as well. The Alembic Track does not accept any kind of clips. Instead, a virtual clip is shown that represents the exported alembic file frame range from your animation software. Through the inspector of the alembic track, that virtual clip can be offseted by a specific number of frames. If you want, you can have as many alembic Tracks as required, but remember that each track is able to sample one imported alembic file only. Any cameras that are included in the Alembic file, can directly be used along with their animation if any, as Camera Shots in the Camera Track, and as usually easily picked through the Shot Picker in the Camera Shot clip inspector. Alembic Files should be placed in a special Unity folder named “StreamingAssets” directly under your main “Assets” folder. Add some extra things and you have a Unity cinematic synced with an exported alembic file.